St. John the Baptist Orthodox Church in Perth Amboy, New Jersey is one of the oldest parishes in the American Carpatho-Russian Orthodox Diocese. The parish was founded in 1897. Initially, the parish made arrangements to rent an old Danish church in town, with the first service celebrated there on Easter Sunday of the year of the church’s establishment. The first pastor was Father Alex Kaminsky, with a number of priests tending to the parish’s spiritual needs in those early, formative years. The parish community grew at a remarkable rate and soon outgrew their original facilities. In 1904, at a cost of $21,000.00, the parish built the large edifice that has stood at the corner of Broad and Division Streets ever since. The pastor at the time was Father Alexius Novak. During his pastorate, land for the church cemetery was purchased. In 1906, the church interior was decorated, with a massive Iconostas, patterned after the one in the Uzhorod Cathedral in Europe erected at a cost of $1,700.00. Work on the church continued and in 1913, twin towers were added to the building. This was begun during the pastorate of Father Bartholomew Tutkovich and completed while Father Peter Kustan was pastor. In 1922, Father Basil Lipetsky came to St. John’s and started plans for the construction of a parish school, which was completed in 1924. Through the first decades of the 1900’s, St. John’s became one of the largest Greek Catholic parishes in the country. It was one of the first to raise its voice against the latinization of the Eastern Rite. Like many other churches, St. John’s became embroiled in a lengthy, costly court case in an effort to preserve its rich religious heritage. When other Greek Catholic parishes around the country experienced similar circumstance, they banded together to form their own Diocese. In 1938, the American Carpatho-Russian Orthodox Diocese was officially recognized by the Ecumenical Patriarchate of Constantinople, and St. John’s became an integral part of this new Diocese. Father Ireneus Dolhy, one of the leading advocates for the formation of this Orthodox body, served as pastor of St. John’s from 1935-1942, when he was succeeded by Father John Mackov. In 1954, extensive interior and exterior work was needed for the church building. New brick was placed on the structure, new window frames were installed and new stained glass windows were offered by the faithful. The renovation work cost approximately $150,000.00. In 1956, Father Stephen Sedor was appointed pastor of St. John’s—a position he would hold for 36 years. His first priority was the organization of a Sunday Church School. Two large projects were initiated in the 1960’s: the construction of a new rectory (1967) and the establishing of two parking lots across the street from the church for parishioner use. In the 1980’s, a new, modern kitchen was constructed in the school hall at a cost of $200,000.00. Upon the retirement of Father Sedor in 1992, Father Michael Rosco was appointed pastor of St. John’s. Improvements in the church complex continue to be made. In 1994, the entire church basement was renovated and modernized. Because of structural concerns, a new ceiling was put in the church in 1995. The parish celebrated its 100th Anniversary in 1997. 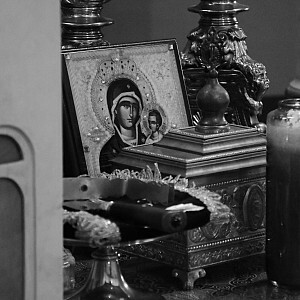 Extensive iconography work was done in 2005 by renowned iconographer Dennis Bell. In the fall of 2013, Fr. Michael Chendorain was assigned to St. John's following the sudden and tragic passing of Fr. Michael Rosco earlier in the spring of that year. In that same time, improvements were made to the parish rectory and altar areas. The Parish celebrated it's 120th Anniversary in 2017 with a visit by the our Diocesan Hierarch and a weekend-long celebration of this momentous occasion. New deacon's doors were created/installed by parishioner Dr. Stephen Skokan and iconography to adorn them were written by Fr. Deacon Paul Drozdowski. Over Pentecost weekend of 2018, the parish Jr. ACRY hosted the National ACRY Metropolitan Orestes Memorial Bowling Tournament - the first diocesan-wide event in over 40 years! The same weekend, Fr. Michael was elevated to the rank of Very Reverend by His Eminence Metropolitan Gregory at the conclusion of the Divine Liturgy. St. John’s continues to provide spiritual and social activities for all ages. The parish organizations and groups include: a Sunday Church School, Social Club, Choir, Altar Society, Jr ACRY (Youth Group), PTO and Senior Citizens Club. Through the years, St. John’s has been the site of numerous noteworthy events. Diocesan Councils, National ACRY Conventions, Sunday of Orthodoxy Vespers, Vacation Church School programs and ordinations have all taken place at St. John’s. Several priests and panis trace their spiritual roots to the Perth Amboy parish. Foremost among these was His Eminence, Metropolitan Nicholas (Smisko), who for many years was the ruling Bishop of the American Carpatho-Russian Orthodox Diocese, which has its headquarters in Johnstown, PA. 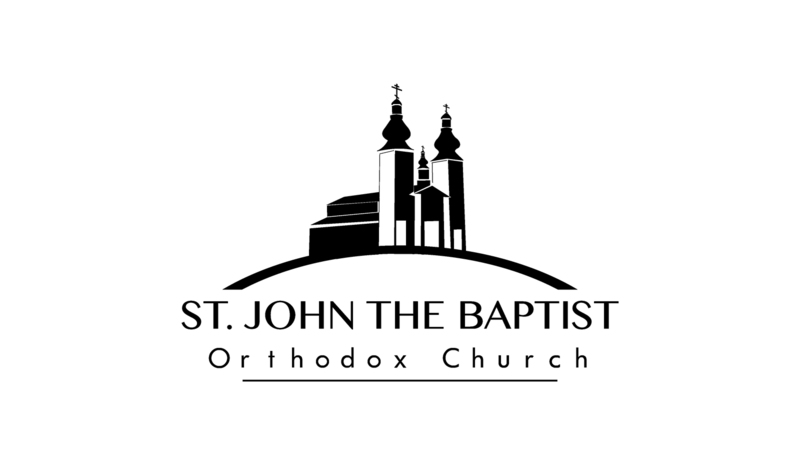 The history of St. John the Baptist Orthodox Church is truly a constant source of pride for her members. May the future years continue to show spiritual growth and material progress!